As per the company records, more than 177 million people around the globe are using the wide AVG product range and services to protect their gadgets, enhance performance and ensure privacy. The powerful products from AVG can protect your business as well as personal information, helps the devices to run smoothly, and work without worrying about virus or malware. AVG has launched a number of products to satisfy the needs of variety of users -individuals, home users, small business, medium business, and enterprises. Founded in 1991, and headquartered in Amsterdam, The Netherlands, AVG was mainly focusing in providing protection, performance, and privacy to its users. This has significantly increased the growth of AVG and influenced the life of many. Now, AVG has more than 1000 employees working in 14 offices, worldwide. 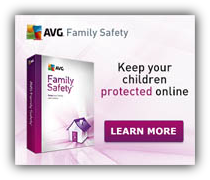 With AVG products you can not only protect your PC, but also your mobile devices as it supports a number of platforms like iOS, Windows Phone , PC Mac, iPhone, Android. The latest malware detection and treat prevention technologies used by dedicated team of Internet security specialists of AVG provide robust online protection for both home and business use. AVG security helps you to work with your system, free from all kinds of virus, spam, Trojans, whilst preventing phishing, identity theft, web exploits, and rootkits.